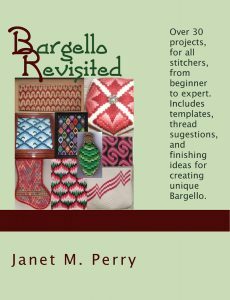 Alone and in conjunction with Art Needlepoint, Janet M. Perry has several books available that will improve your needlepoint as well as teach you new techniques. A complete list of books (including shopping cart) can be found on the Napa Needlepoint site. These books can also be ordered from Amazon. They are available for shops to resell. Please contact Janet for more information on this.